I always love flipping through magazines especially around the holidays! 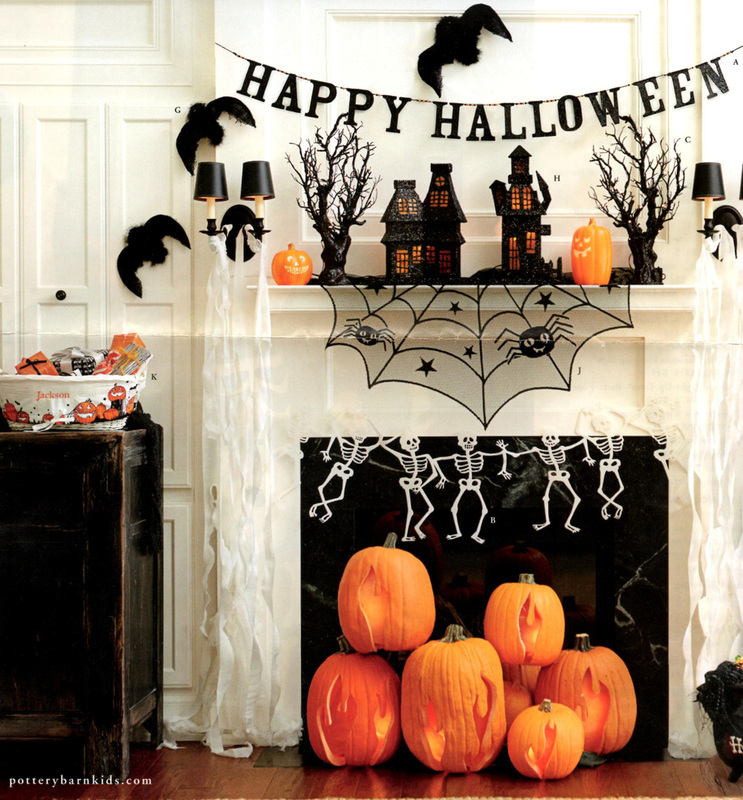 They always give great inspiration for decorating and this year I was totally inspired by a Halloween Fireplace Pumpkin idea I found in a PBK magazine. So I decided to recreate the look for myself with a little help from Jo-Ann Fabric and Craft Stores. I knew that these would be really easy and fun to re-create! I wanted mine to last for years though, so I didn’t want to use real pumpkins. I decided to use carvable pumpkins for my project from Jo-Ann and they worked perfectly! 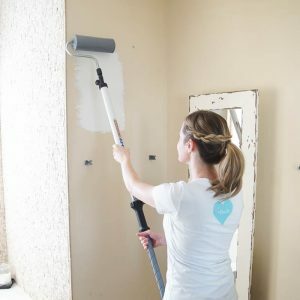 This project is really quite simple and doesn’t take too much time or effort. 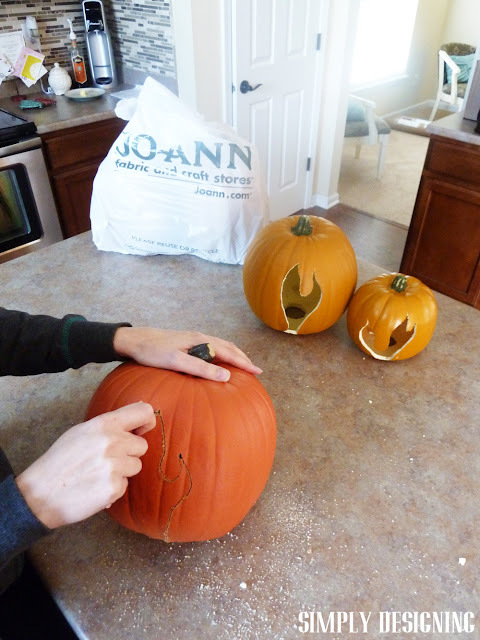 All you need to do is run down to your local Jo-Ann, pick up a few Funkins (carvable pumpkins) and get to carving! 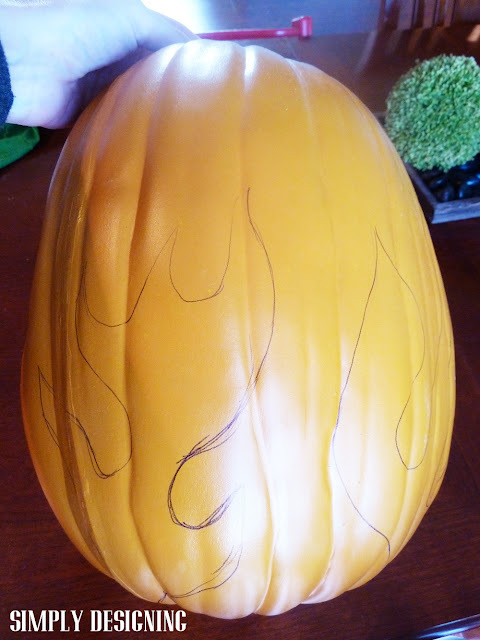 First we sketched flame designs on the Funkins. They don’t have to be exact. Then you will start carving your pumpkins. 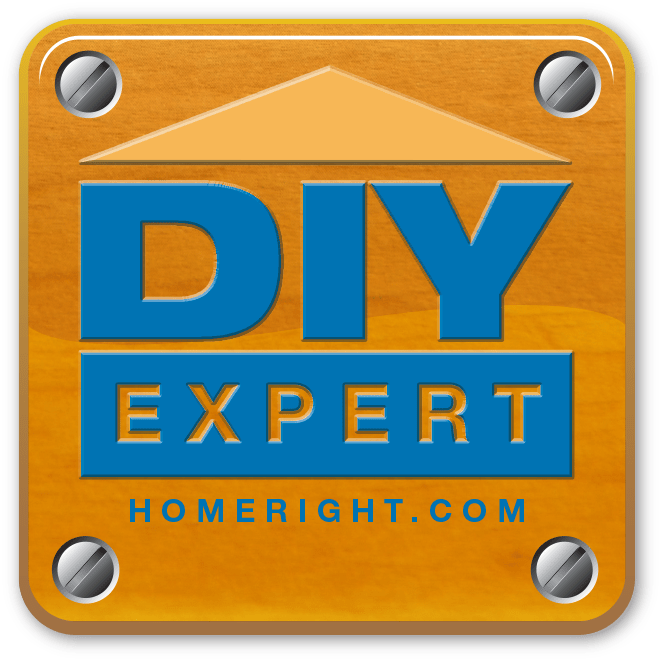 In any case, a really thin jagged edge blade will work best. 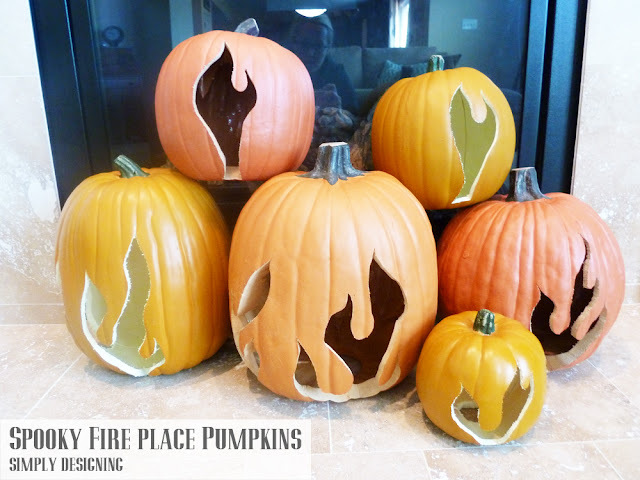 Continue to sketch and cut your flame design out of as many pumpkins as you like! We stacked ours in front of our fireplace. I thought it was fun to have Flaming Pumpkins in front of the fireplace! A bit fun and a bit spooky. You can even put battery operated tea lights in them at night to create a fun and Spooky Fireplace Effect! Jo-Ann offers so many fabulous crafting supplies and is truly one of my favorite stores to shop at! 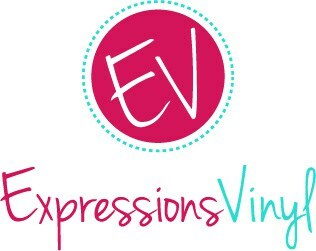 You can also find a ton of INSPIRATION at the Jo-Ann Creativity Made Simple website HERE. 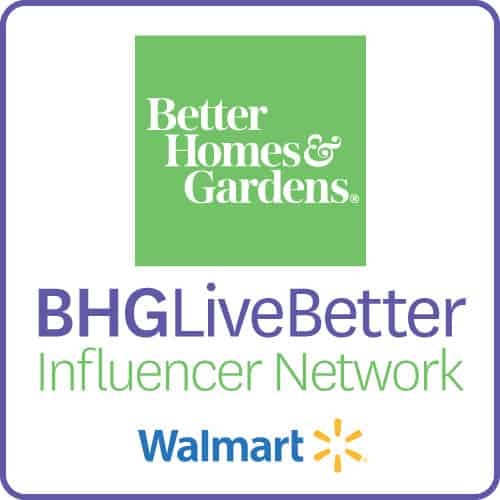 Be sure to stop by and check out many amazing holiday ideas! 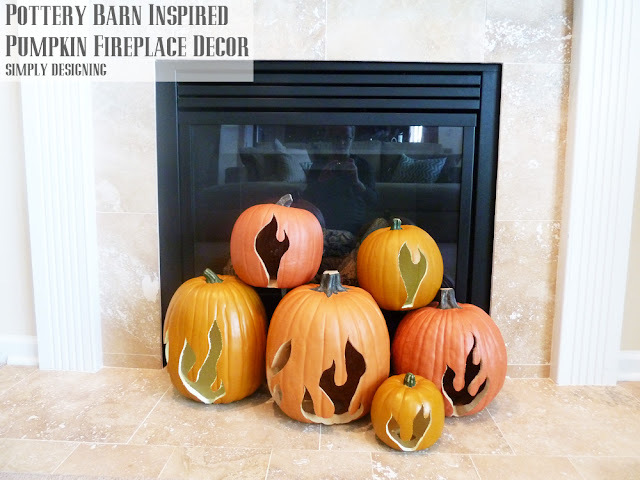 You still have time to create something Spooky for Halloween including these fun Flaming Pumpkins! Wow, these are awesome and look just like your inspiration!! Thanks so much Eva! And thanks for stopping by!! this is so cute! I love the flame pumpkins! What a great idea for the pumpkins! I also love your mantle decor! Love your mantle decor too! This is awesome! It is very similar to Pottery Barn’s mantel, but I like your decor choices better because it isn’t so dark. I really like these pumpkins. 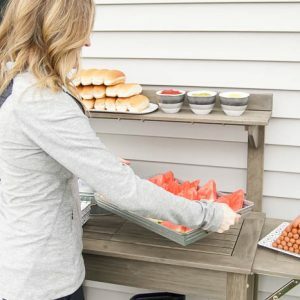 This idea is so unique. The fact that there is no mess when carving these pumpkins is definitely a plus! I love the flames on the pumpkins. Thanks for sharing! I love this idea and makes the fireplace look so festive. You can even keep this up during the entire fall season. Thanks for sharing this fun idea on Merry Monday. The pumpkins turned out great! Love your fireplace jack o’lanterns! Thanks for sharing them on Share Your Style. This is such a neat way to decorate for Halloween! I love how your carved pumpkins turned out. 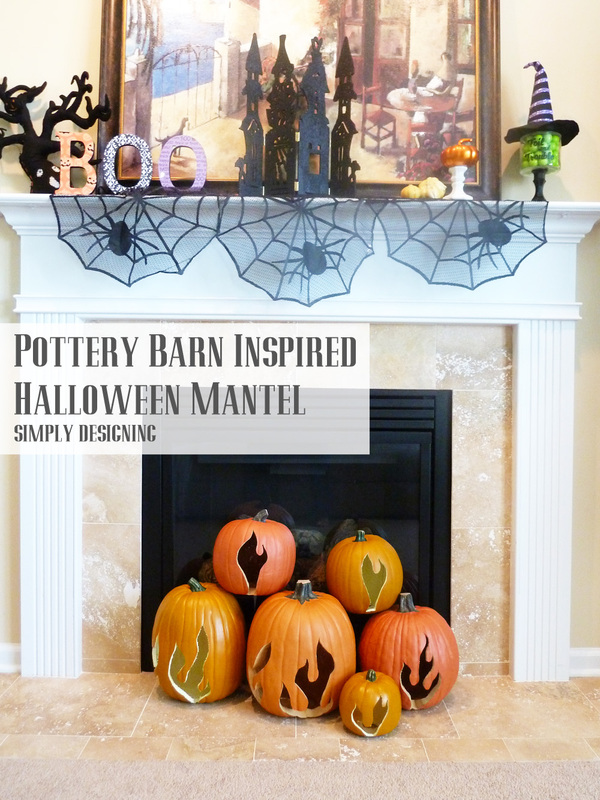 Thanks for linking up with Merry Monday – I’ll be featuring your pumpkins at our upcoming party.